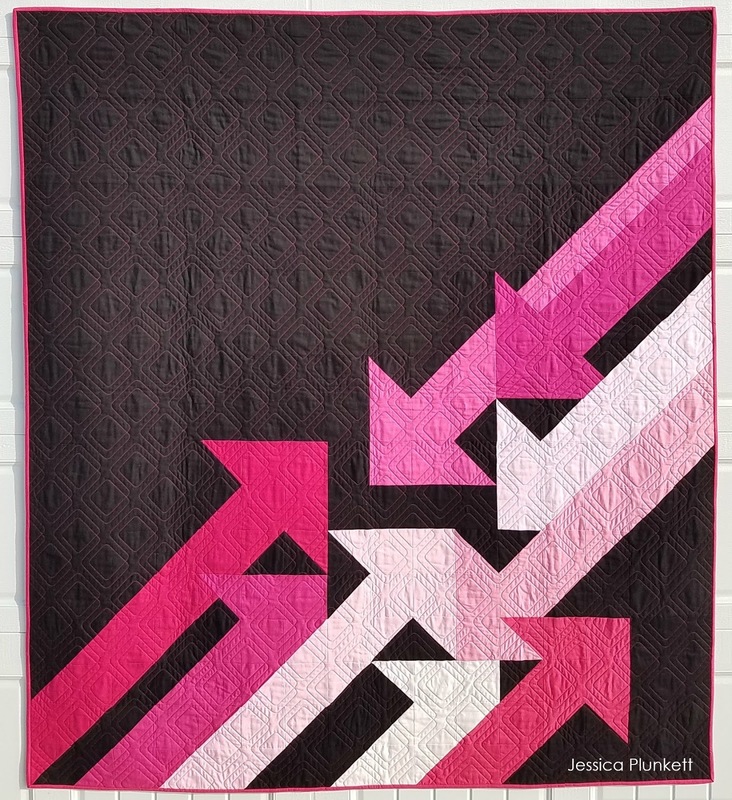 It was a happy day in our house as I received word my pink and black version of #InTheRightDirectionQuilt was accepted into QuiltCon! I’m still stunned and will probably forever be stunned. This was my first time submitting a quilt into a juried show. Usually lack of time, resources, money or - most common – confidence get in the way of me submitting my work. I also haven’t spent enough time studying available shows. 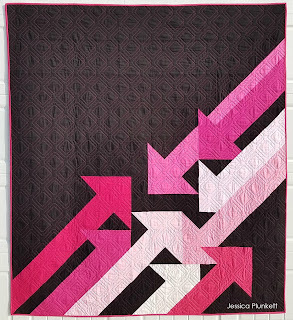 I’m familiar with QuiltCon because I’m a member of the Modern Quilt Guild and I had already made the commitment to attend the 2019 show back in the summer. It wasn’t until a month or so until the deadline that I made the decision to enter a quilt. I fully expected to be rejected as this quilt follows all of my quilt patterns – simple construction. I just didn’t think a quilt like that would make it, but something overall aesthetically must have appealed to the judges. It’s exciting to think that simple construction, fun designed quilts can be show-worthy! I really look forward to seeing all the quilts in person, as well as meeting quilters in real life at QuiltCon! Will I see you there? I hope so!